What appeared to be an uncommon police chase resulted in ending in a way that no one had imagined; a crash involving vehicles caught on fire, and the police taking the suspect into custody after being involved in a standoff that lasted two hours. As many articles and blogs here have demonstrated, there are several cases where speed does not benefit the driver, such as running from the law. According to officials from the Fort Worth Police Department, Sergeant Povero has stated that police officers attempted to stop a semi-truck on the busy Fort Worth highway, Interstate 30, but the driver of the semi, Jose Olivas, a 35-year-old man from El Paso, decided to drive off. There have been reports that the large commercial vehicle started to reach speeds exceeding 100 miles per hour, posing a significant risk to everyone on the road, including the driver himself. Furthermore, there are reports that Olivas was driving in a very reckless manner from the beginning of the chase, oftentimes crashing against other vehicles on the road or driving pushing them off the road. The police have not yet confirmed whether or not the driver of the semi stole the big rig before beginning his run. The chase ended when the semi-truck impacted a vehicle in Arlington (close to Cooper). Due to the significance of the impact, the vehicle that the big rig driver impacted was severely damaged and became engulfed in fire. The condition of the driver who was in the vehicle has not been confirmed either. According to witness testimonies, the big rig driver was driving in speeds that were almost unthinkable, due to the lack of safety that it would generate. Even after the big rig had crashed against the vehicle and the chase came to an end, police officers dealt with the driver in a two hour standoff that resulted in the driver getting arrested, and is now facing criminal charges including aggravated assault with a lethal weapon, and evading arrest while being in a vehicle. How Does One Deal With a Speeding Vehicle? Speeding vehicles, especially those consisting of the massive size as big rigs and other large commercial vehicles, should be taken with great seriousness. Drivers who are on the road and witness a vehicle that is driving in an unsafe condition should immediately contact their local police department so that the authorities can handle the situation. 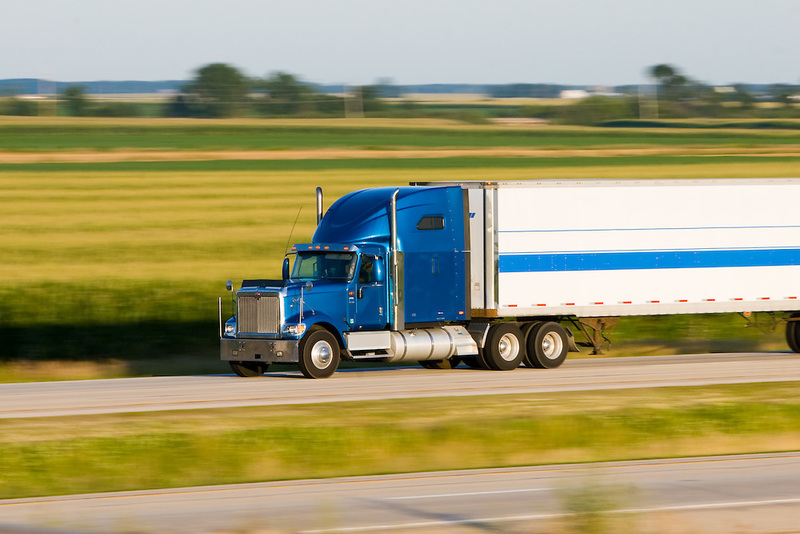 Attempting to deal with a speeding big rig by using a standard-sized vehicle can cause even greater problems, not to mention the possibility of being involved in a personal injury accident. Road safety is a responsibility for all drivers. In order to ensure that the highest level of safety is achieved (and an accident avoided), drivers must ensure that the road space is safe for all drivers, including themselves. This is especially important in Fort Worth, where recent construction has changed roadways, altered exits, and generated large amounts of traffic. Finally, it is important to remember that road safety does not necessarily start with others - it starts with us.